Food Trip: Cay Bang | Hello Saigon! When visiting Mui Ne, we never fail to visit Cay Bang Restaurant situated just as you enter the main strip where resorts are. 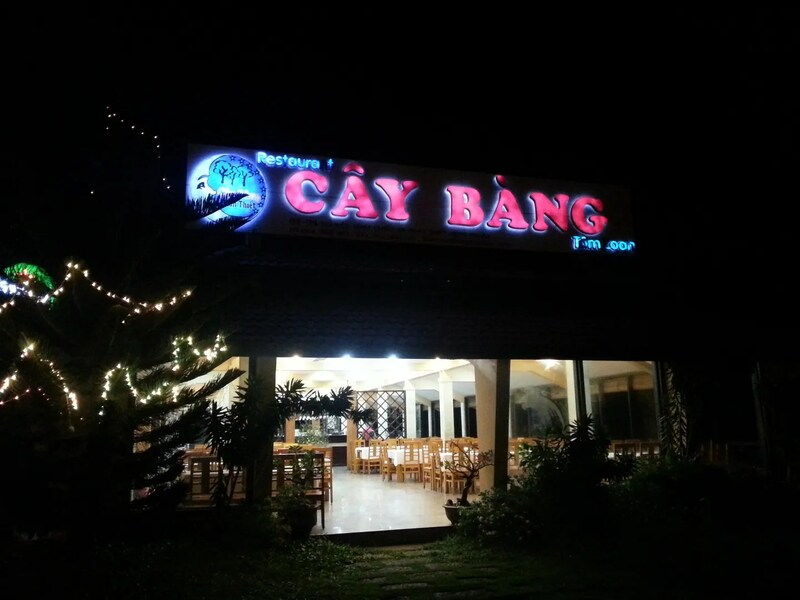 Cay Bang offers Vietnamese cuisine speacializing in seafood! Yum! Our favorite is this raw fish salad. Really, really good! I actually insist on going here just for this. So what you do is take the rice paper, put in the veggies and fish, roll, and dip in the sauce. I haven’t seen this anywhere in Saigon. 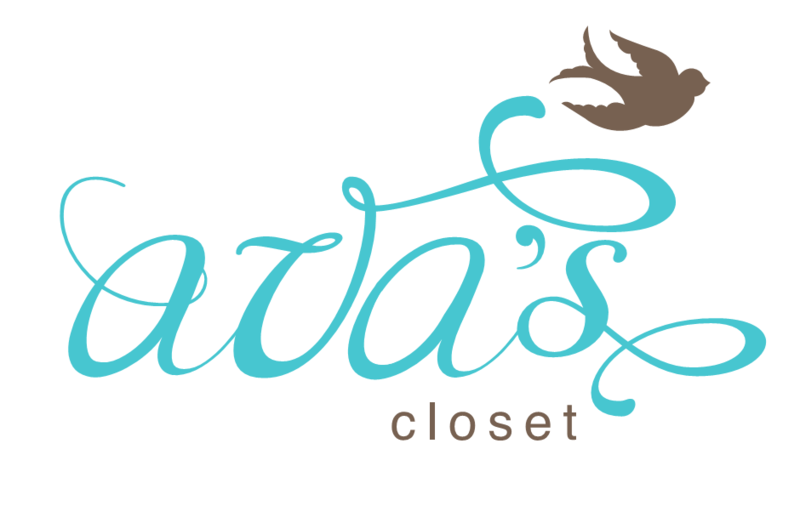 If you do know a place, please, please let me know! The fish salad don’t look like much but it’s really good. 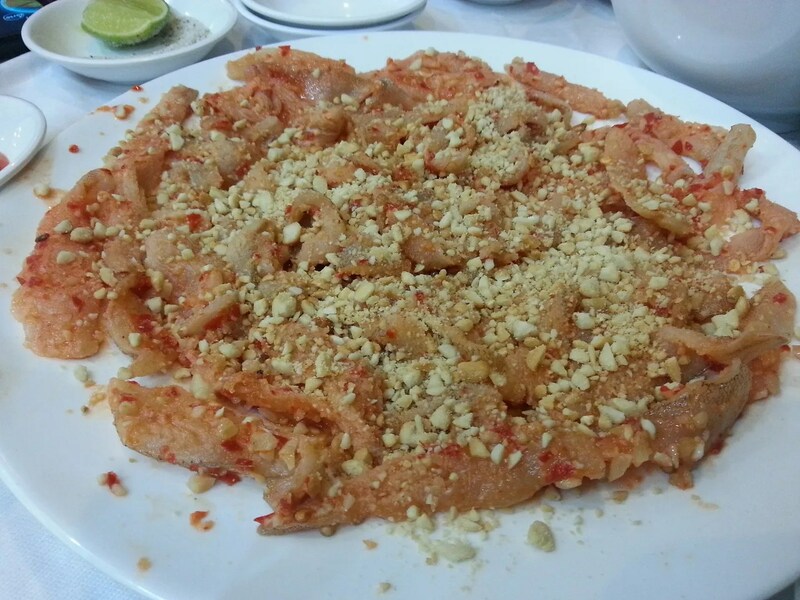 It’s marinated with peanuts and chili. The trouble though with Cay Bang is that none of their servers know English. Maybe just a little but otherwise, it’s really difficult to convey what you want to eat. The menu is in English so that helps. If you’re unsure of what seafood you want cooked, you can go down the aquariums, and choose. 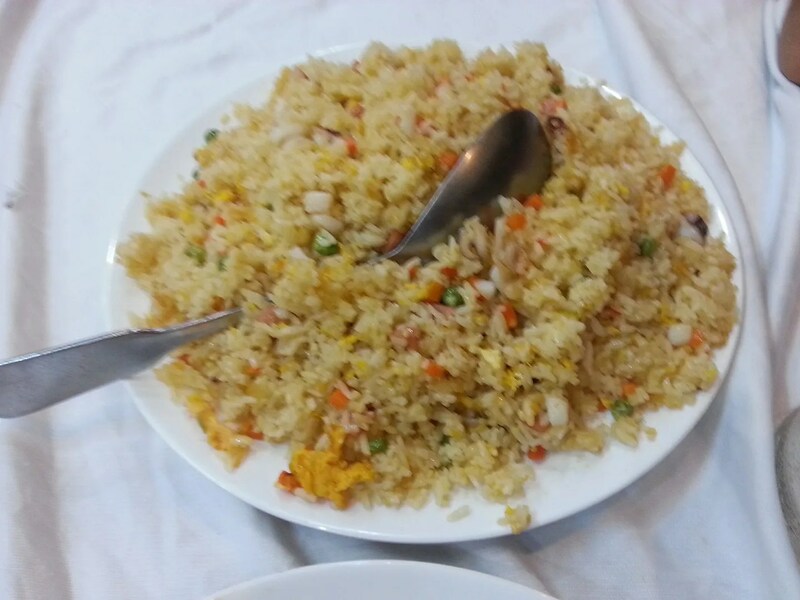 We ordered seafood fried rice and when by the sea, seafood is a must. 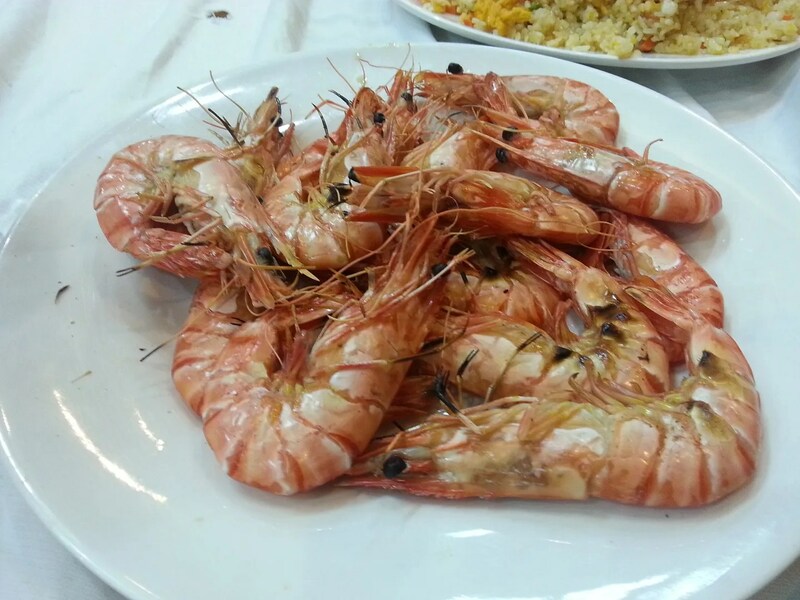 So we ordered 500 grams grilled shrimps which we dipped in lemon and salt and pepper. 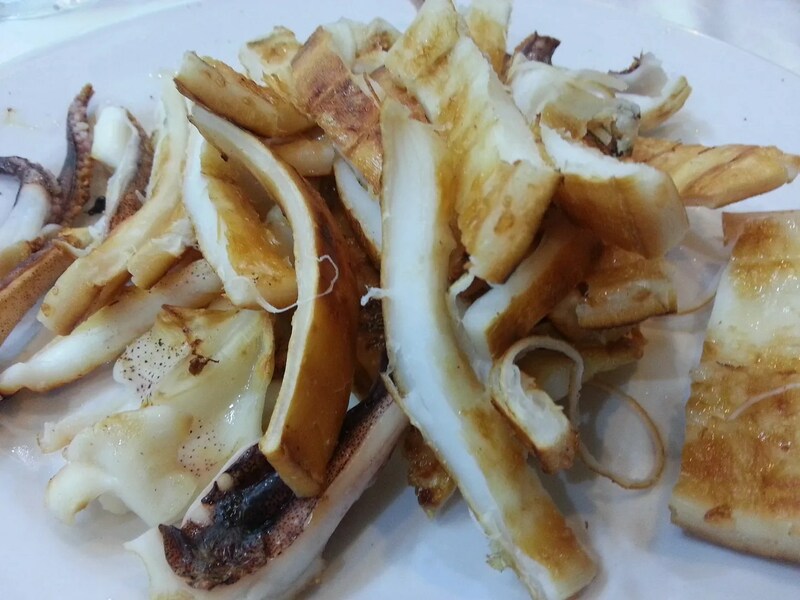 And of course the 500 grams grilled squid! Writing about this is making me hungry. We had a feast with just these three. Hubby and I couldn’t finish this off. Our son was no help. When you do get to try Cay Bang, do order the sour soup too. Theirs is one of the best I’ve tried. 02-04 Nguyen Dinh Chieu St. 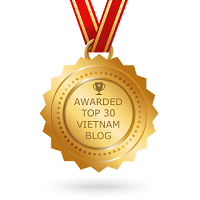 This entry was posted in Gastronomic Delights and tagged Cay Bang, Mui Ne, Phan Thiet, seafood, Vietnam. Bookmark the permalink. Hey Lyra, you can get that raw fish salad and lots of other stuff at a place called Din Ky 137C Nguyen Trai In D1. It’s on the same side of the street as Pho 99, a little ways up. Have you checked out Pho 99 yet? Great for beef lovers! 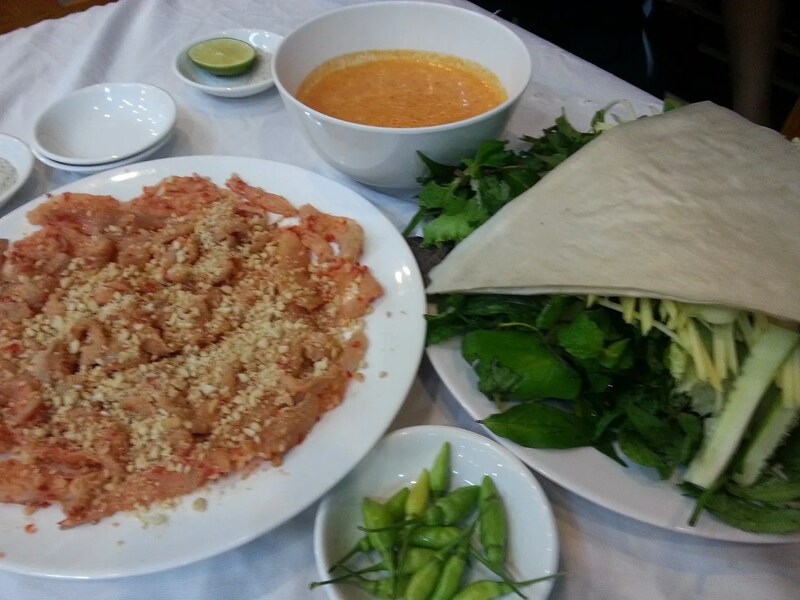 Pingback: Food Trip: Hoa Vien | Hello Saigon!